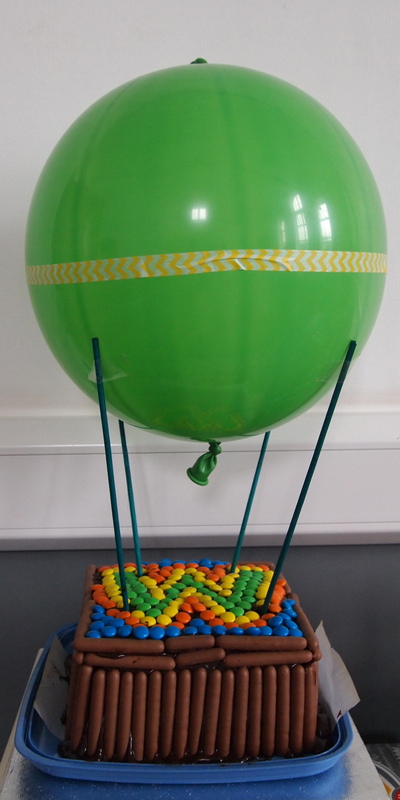 Once again inspired by pinterest I decided to make a hot air balloon cake for my Son’s Welcome Party, I used the pin below to work from. Pre-heat the oven to 180°C/Fan 160°C/Gas 4. Grease two 20 cm (8 in) deep square sandwich tins then line the base of each tin with baking paper. Blend the cocoa and boiling water in a large bowl then add the remaining cake ingredients and beat until the mixture has become a smooth, thickish batter. Divide the cake mix equally between the prepared tins and level the surface. Leave to melt for 5 mins, then stir briefly to combine – don’t over-mix or it will lose its shine. Sandwich the cakes with a third of the just-warm frosting and spread the rest over the top and sides. 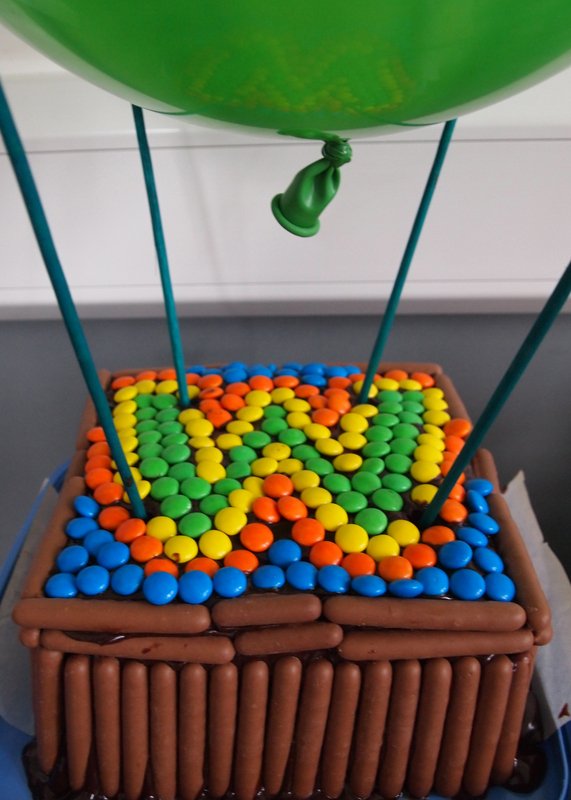 Then I decorated the cake with chocolate fingers to make it look like a basket and smarties to add lots of colour! It was sickly delicious! 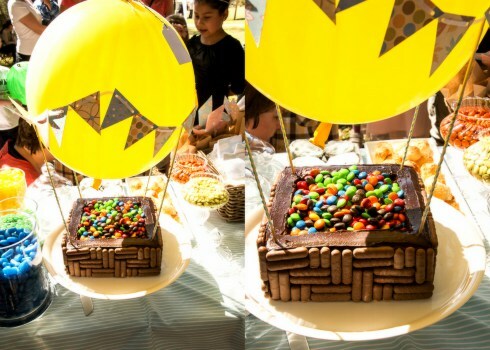 Gallery | This entry was posted in Recipes / Food and tagged Baking, Balloon, Birthday, Birthday Cake, Cake, Chocolate, Chocolate Cake, Food, Frosting, Hot Air Balloon, Hot Air Balloon Chocolate Cake, Icing, Party, Recipe, Welcome Party. Bookmark the permalink. Thanks, I was really pleased with the result.